Barcelona head coach Ernesto Valverde insisted he was unfazed by Juventus and Cristiano Ronaldo's shock Champions League exit. The Serie A giants were stunned 2-1 by Ajax in Turin on Tuesday, losing the quarter-final tie 3-2 on aggregate. Meanwhile, Barcelona cruised past Manchester United 4-0 on aggregate after recording a 3-0 victory at Camp Nou. 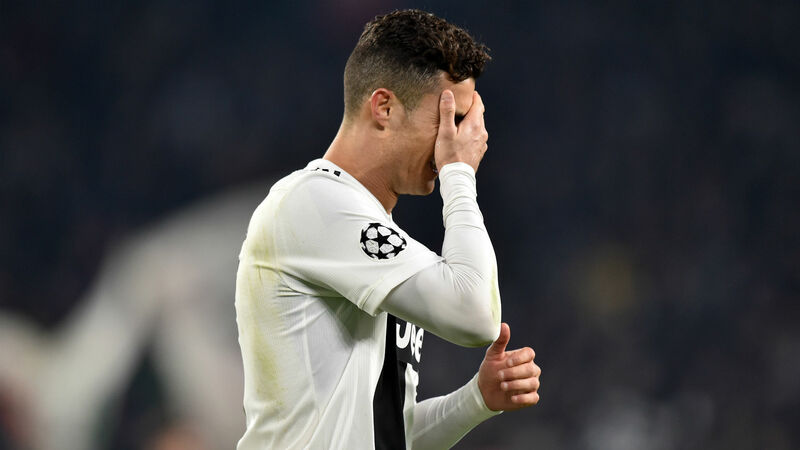 Ronaldo failed to reach the semi-finals for the first time since 2009-10 as Juve's quest for European glory fell short again, but Valverde said there were no guarantees for any club. "I don't look at particular players, I look at teams. Juventus are not there, but Ajax will be there. I don't know if that's an advantage or not," he told a news conference. "We'll have to see what Ajax are doing, of course. What's clear is nothing is written, nothing is set in stone. "Anything can happen, so we'll be looking at the TV to see who our opponents are." Barcelona will face either Liverpool or Porto in the semi-finals, while Ajax meet Tottenham or Manchester City. Valverde was asked about the influence of Johan Cruyff on potentially three of the four semi-finalists in the Dutchman's former clubs Barcelona and Ajax and maybe City, who are managed by one of his disciples in Pep Guardiola. "I'm sure [he is an influence] because at the end our styles are similar, you can recognise a common nexus there, a common core," Valverde said. "The three teams try to play a particular kind of football, but we will see how it goes. "We will go out there to enjoy, especially after a game if we win because at the end of the day we can talk about many things but you need to find a style to engage the fans but you have to take it and bring victories."